Hey, y'all! It's so good to be home! Thanks so much for all of your kind words and prayers. I'm still trying to get my feet back under me but being home makes things MUCH better. Now that spring seems to be here (ignore the cold and windy weather that just doesn't seem to want to leave WNC) there are festivals popping up all over the place! And I want to go to ALL of them. 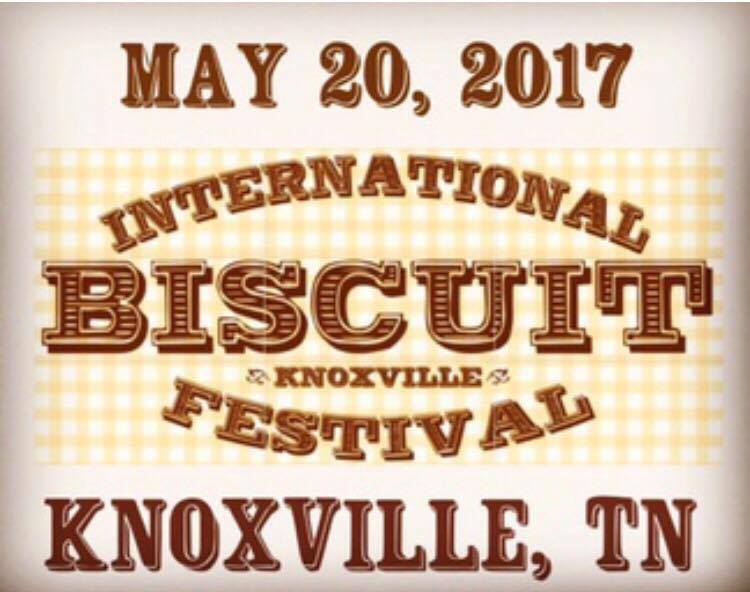 I was very disappointed that I didn't get to go to the cornbread festival last weekend but I found one that helped ease the disappointment: The International Biscuit Festival! Doesn't that sound like heaven?! I can't think of Appalachian food without thinking about biscuits. A whole festival dedicated to celebrating those hot, flaky, buttery layers of southern goodness...heaven! This will be our first year attending and I'm counting down the days. You may be wondering what this festival is all about. Lucky for you, I've been speaking with Ms. Lindsey Collins, the event director. Lindsey says, "This is the Biscuit Festival's 8th year, and it has helped grow Knoxville's downtown community into what it is today." 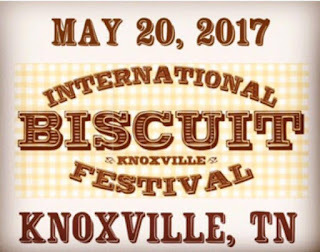 There is a section of the festival known as Biscuit Boulevard. "Several of the region's finest restaurants and bakers bring their Signature Biscuits for you to sample." Glory! According to their website, Biscuit Boulevard will be open starting from 9am Saturday, May 20th, 2017. The Boulevard runs along Market Street, just south of Market Square in downtown Knoxville. 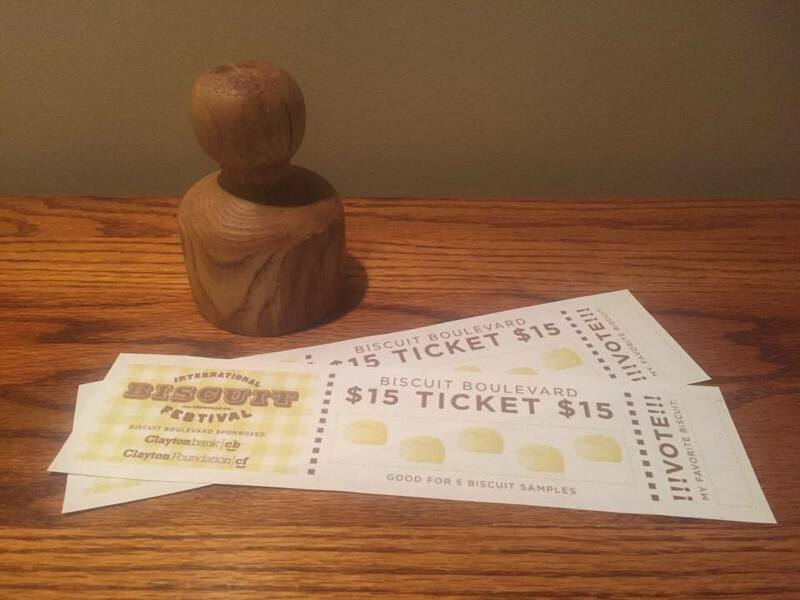 You can buy a Biscuit Boulevard ticket for just $15 and try FIVE different Signature Biscuit creations! Vote by placing the perforated tab of your ticket in your favorite Biscuit vendor's Mason Jar at their booth and help to select the People's Choice winner. Boulevard participants will also be offering a selection of other goodies for you to purchase directly. There will be some long lines so prepare to arrive early! Lines continue to grow throughout the day and the festival ends at 2PM. We're planning on getting there when the doors open! If you'd like to find more information about any of these events and/or order tickets, you can check out their website: The International Biscuit Festival. The festival was kind enough to team up with me to sponsor an Appalachian Mountain Roots giveaway! Tomorrow, May 5th, look for a giveaway post and follow the directions in the post to be entered. The prize includes 2 Biscuit Festival tickets and a handmade wooden biscuit cutter made by my very talented woodworking husband! We'll be wearing our "app-uh-latch-un" t-shirts so if you're at the festival and happen to see us standing in line, come up and say hi! I'll be writing a post all about it when we get back. I mean, who doesn't like a good biscuit?! Be sure to check back tomorrow and find the giveaway post so you can be entered to win the prize pack!